Roller Rolling Ball : Looking for best 3D maze game with roll the ball environments? What’s the need to search more when Roller Rolling Ball is here. It’s a slide puzzle balance ball themed game to discover variety of mind teasers to keep your brain active. 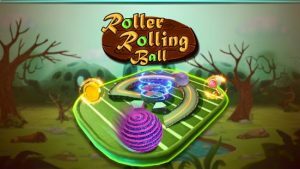 Roller Rolling Ball has variety of features including ball, key and coins, find hidden object, sort the physics based puzzles and fix targets to achieve your goal. Manage games via ball resurrection to rectify ball targets in desired holes. Don’t Drop & Touch To Enemy! The splendid 3D effect scene enables you to experience the imaginary traps and barriers. Roll the ball to move freely on any side, customize your game with incredible level ups! In every match you play, there are coins to be won – win level and coins are yours! Enter higher-ranked levels with bigger stakes, or buy new helps via in app purchase. Realistic physics for authentic gameplay! Play 3D maze game with your friends or beat players! Love winnings? Win keys to have access to open doors! Enjoy with massive selection of keys, plates with unique powers and styles!